When it comes to active noise cancellation (ANC) headphones, higher end brands such as Bose reign supreme. They are a blessing to have in a noisy office or a long-haul flight. But they are expensive and not an investment most travellers would make, unless they are really racking up frequent flyer miles. Locally there is another player in the market that does make a good job with putting ANC headphones into a more affordable price bracket. Xqisit has released the oE400 locally for R2 000, available at MTN stores. 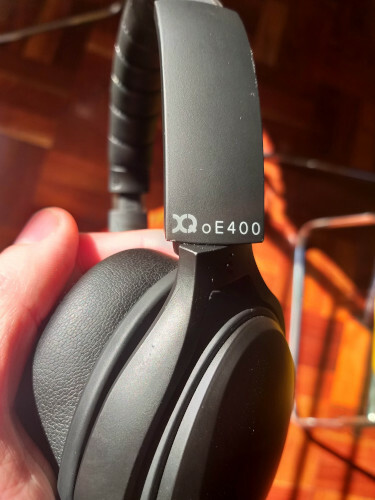 The Xqisit oE400 goes for R2 000, which is in many cases is about half the cost of other ANC headphones. Importantly, they get the job done and deliver on a solid ANC experience, style and sound quality. The ANC is activated by switching it on the left cup. There’s a blue light that goes on, and you’ll hear a slight drone kick in, which is the fuzzy white noise of the ANC. For the most part this will help to drain out, or at least tune down, a majority of sounds. It doesn’t cut out everything – loud noises remain, as can be expected. But, combine the ANC with your music on, and it’s a great experience. I was hoovering and was oblivious to the loud noise coming from the vacuum cleaner, for example. If you are struggling with a noisy open plan office, invest in these now. The one place where the Xqisit headphones need to be criticised is the rather plasticky design of its volume buttons. 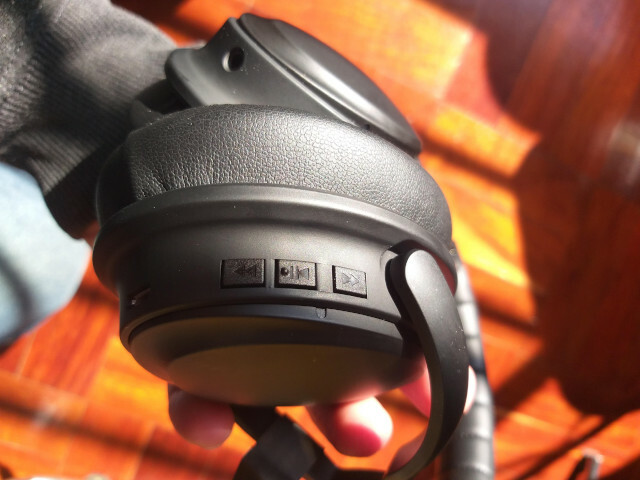 Although there’s no shoddy workmanship to be detected on the headphones, the plastic buttons feel out of place, since it’s such a decent product. Even though it might be half the price of other ANC headphones, this should not be an excuse to include these. Seeing that the Xqisit will go with you on flights and other excursions, also included are a nice travel pouch and a regular 3.5mm cable to plug into a headphone jack (if your phone still has one). There’s also a two-pin converter in order to plug it into (some) airplane’s seat-rest to tune into the in-flight entertainment. Battery life was logged at about eight hours with the ANC on. Switch it off and you will be able to get more, with Xqisit putting it at 12 hours. It’s recharged via a micro-USB input. Over the ear headphones are my favourite, since sticking something in your ear for a prolonged period of time is simply not ideal. With cups that are large and comfortable, the Xqisit also ticks the box when it comes to sound. It is a joy to listen to tunes through here, and although some might criticise it for less than powerful bass, I found it sufficient for most types of music. At the same time, conversations that were had through Bluetooth were loud and clear. I was also surprised at the range of the connection, often wandering into other rooms with music still playing. R2000 for ANC headphones is not much, so for about half the price of other headphones, the Xqisit OE400 offers great value for money. 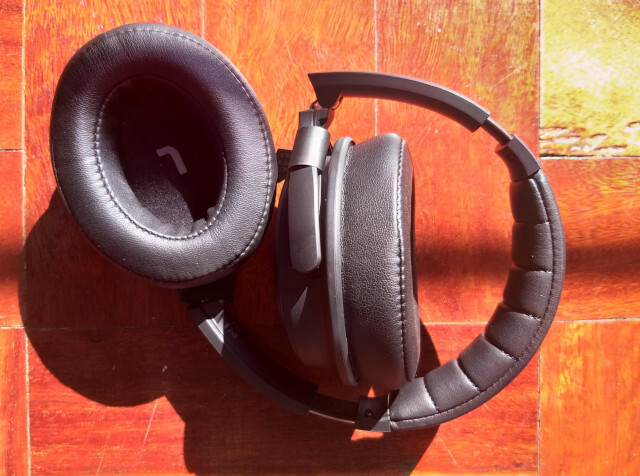 The only thing that can be leveled against these is the plasticky buttons for volume control and noise cancellation - something that feels out of sort on what is really good headphones. For the rest the Xqisit oE400 has great sound, a comfortable fit, clear Bluetooth calls and a decent look. It comes highly recommended.